“Unleash Your Creativity! 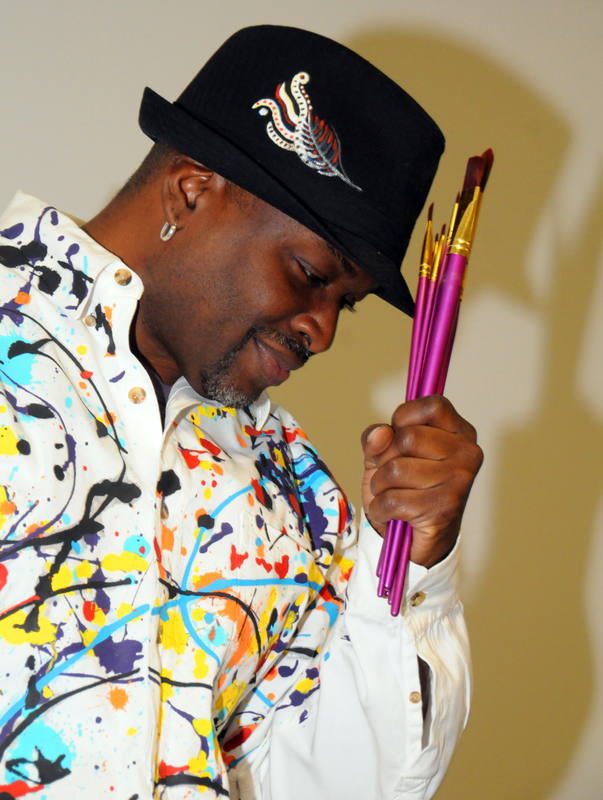 Spend a fun evening laughing, listening to music and creating a one-of –a-kind masterpiece taught by renowned artist, Larry Poncho Brown! This 3 hr. event is just $50 ($95 per couple) and includes all art supplies, an awesome staff, an array of hors d’oeuvres and beverages and a lot of fun! Don’t worry! Absolutely NO art experience is necessary! Poncho will walk you through every step of your creative process! SEATS FILL FAST! BE SURE TO REGISTER ASAP! Check our calendar link at www.theartofponcho.com to see all of our upcoming Poncho Paint Party events! 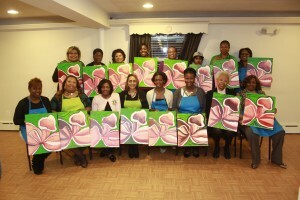 The Poncho Paint Party was birthed from the many Paint Nite, Sip & Paint trends happening throughout the United States. The difference here…renowned artist Larry Poncho Brown is teaching the class! 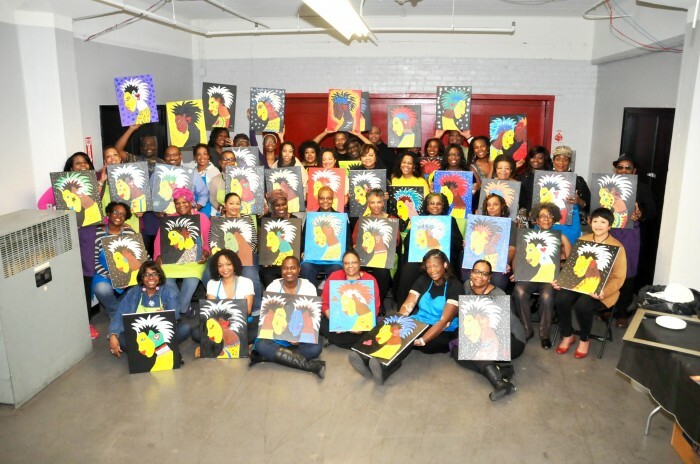 We hosts paint parties and art events for all ages. Our motto is “Unleash Your Creativity!” It’s just a matter of people reconnecting with their inner child and creative self. 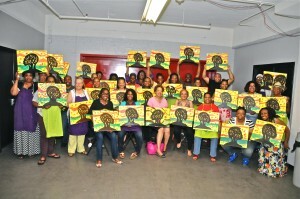 Our mission is to enrich our community with art education and culture in a fun and accessible way. Spend a fun afternoon or evening laughing, listening to music and creating a one of a kind masterpiece. Whether you are hosting a birthday party, corporate event, or having an art class, there is no need to be afraid – no experience is necessary. Our fun, experienced and enthusiastic instructor will guide you in finding your creative voice to create a beautiful piece of artwork! The best news is, no matter what the occasion or party venue, you leave ALL the work to us! Canvas, brushes, pencils, templates, aprons, paint, easels, paper goods! And an awesome time for all! A great time for adults and kids alike. We with help you host a party for your private group, organization, family reunion, etc. that your guests will never forget! Do something a little different for your next office meeting, fundraiser or corporate event and book a paint party with us! Whether you have booked us for your private or corporate event, we guarantee you and your friends an unforgettable experience that will quickly become your new favorite entertainment choice! No matter what the occasion – birthday, holiday party, baby or bridal shower, bachelorette party, or just a great night out with friends – we can help you design a fun and exciting party that no one will forget! Every guest will take home a unique piece of art they created themselves — a one-of-a-kind party favor! The best news of all is you don’t need ANY previous experience! Our entertaining and accomplished art instructor will guide you through every step of your creative process! Creative activities spark innovative thinking and resourceful problem solving. Take your team out of their ordinary day to day routine and inspire and energize them with one of our fun and creative art activities. We’ll work with you to create an experience that will have your co-workers and team talking for months. Absolutely no experience is necessary. Our entertaining and accomplished instructor will guide your team through every step of the creative process! In the event that tables and chairs need to be rented, we can arrange the rental based on your needs at additional cost. We advise you to partner with a venue that already has 6 foot tables (approximately 5 guests per 6 foot table) and chairs available. * Please email us for more information regarding custom paintings. Some conditions may apply. It just isn’t a party without tunes! You can pick the music of your choice from several different playlists! If you have a party larger than 100, you are advised to make music arrangements. Although we require a minimum of 20-25 people to book an event we will accommodate a smaller party. However, if fewer than the minimum required attend, the host will still need to pay for the minimum 20 people. Special arrangements required for groups over 50. Registering guests can be a cumbersome task for larger groups. We use an online registration method which takes the worry out of tracking your guests. Once you commit to your scheduled date we will submit a special registration link to register your guests. If your date/time is unavailable, we will do our best to find a suitable alternative. Once your deposit is paid, your date is confirmed. Subject to date availability, you can change the date and time of your party up to 48 hours before your original event date without penalty. Depending on the size of your party and/or the size of your location, we may recommend a site visit prior to your event. If a site visit is necessary we will schedule to meet you at your event location to visually plan your event at no additional cost (within 20 miles of Baltimore, Maryland). We can also accommodate Poncho Paint Party events scheduled out of state. Airfare and lodging is the responsibility of the client. Shipping art supplies is the responsibility of Poncho Paint Party. Book your Poncho Paint Party TODAY!